Definition at line 1369 of file PassManager.h. 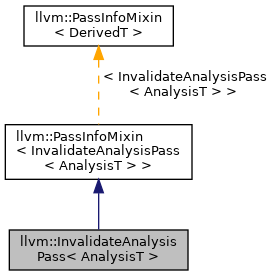 This pass can be run over any unit of IR and use any analysis manager, provided they satisfy the basic API requirements. When this pass is created, these methods can be instantiated to satisfy whatever the context requires. Definition at line 1378 of file PassManager.h.